We are starting to encounter a puzzling phenomena - people who wish to retain very old phone systems that have long been out of production and in some cases are not working correctly for whatever reason but are unable to be fixed. One in particular has had a fairly significant corruption of the programming due to a power failure. The system is an old Nortel Enterprise Edge that predates the Business Communications Manager. This one is 13 years old and is not processing inbound calls correctly. It is likely the hard drive is failing after so long. 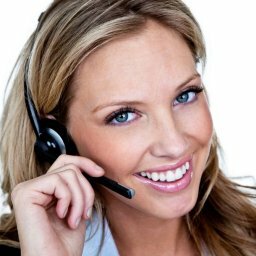 Outbound calls are unable to be made at all. This system is running Release 2.5 - a hardened version of Windows NT and no images are available to put a new hard drive in. Even if they were it really isn't worth spending any money on such an old system because when we replace hard drives we recommend replacing the power supply as well. They were big users of voicemail to email but that had stopped working some time before we started looking after the system. About 3 years ago we managed to get it working again using the Release 6 client from the last of the BCM50's but that has subsequently stopped working either due to Windows Vista patches (yes, every machine on the site runs Vista because of their CRM...), Java updates or Microsoft Outlook patches. They claim not to have done any updates since we last had a tech there but they want it to work again. Some things are not possible. 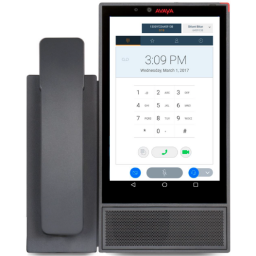 I have suggested using an Avaya IP Office as a replacement system because it will run all their existing Nortel phones, similar to what we do for JB Hi Fi and we even offered to put in a recovered BCM200 to get them up and running but NBN is coming in April and they don't want to be pushed into making a decision. Retaining the existing phones results in significant savings over complete replacement. Moving off the Multiline to a SIP trunk will result in considerable savings over the Primary Rate ISDN they have now but they want to keep their Multiline because they have been told that it is delivered on fibre so it is not subject to the NBN copper cut-off. In another case a real estate customer has a BCM200 where the hard drive had developed noisy bearings. It would be possible to upgrade to a small IP PBX appliance such as a Yeastar S20 and move their lines across to a SIP trunk but they wanted the BCM repaired. I estimated the payback time on the new system would be about 7 months. In a third case a legal customer has a BCM50 with 14 lines - 10 PRI and 4 VoIP. The system is not following programming with respect to overflow from VoIP to PRI for some reason. They probably only need about 6 to 8 lines and all could be amalgamated into a SIP trunk which would sort out the outgoing CLI and save them a considerable amount of money but they are happy to stick with what they have. Telephone systems like everything else have a finite lifespan of around 8 years. Server-based systems would most likely have the hardware upgraded in that time and on-premise systems would probably have software upgrades to keep them current. Where a system like the BCM is obsolescent it can be kept running with parts replacements but no software updates are available and incompatibilities emerge. For the next 9 months it is still possible to add licenses to unlock additional features but it makes no sense to spend money on the system. 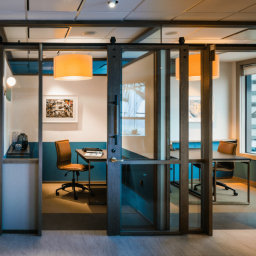 After September 2018 the Keycode Retrieval System shuts down so you would then have to consider whether you want to rely on a completely unsupported phone system. Why would a business not want to save money where they can? Is the fear of the unknown or the horror stories about VoIP too strong to be negated by a reasonable explanation of the advantages and proof of success stories? How will the shutdown of ISDN in Australia affect your business? Where is that announcement coming from?